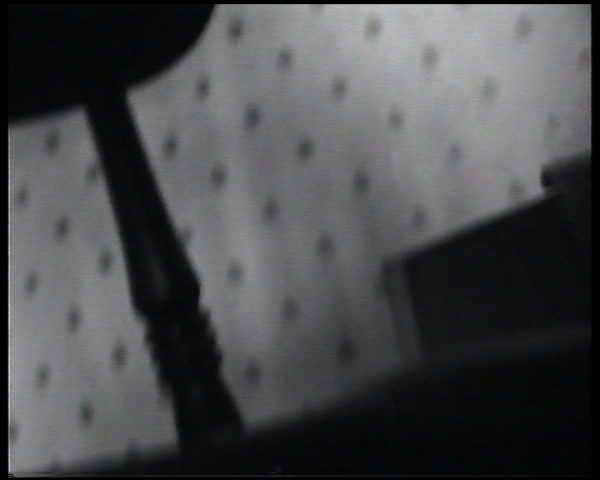 Between 1914 and 1920 Dr William Jackson Crawford researched the mediumistic phenomena occurring at the séances of the Goligher Circle, Belfast. 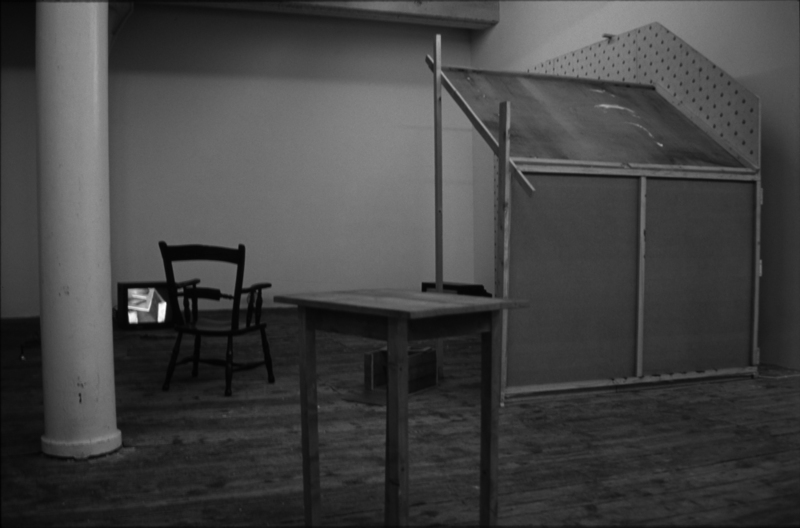 Crawford's relationship to the table tilting medium Kathleen Goligher is explored, and the path of Crawford's inquistive eyes is traced as the camera leads the viewer through the séance room. 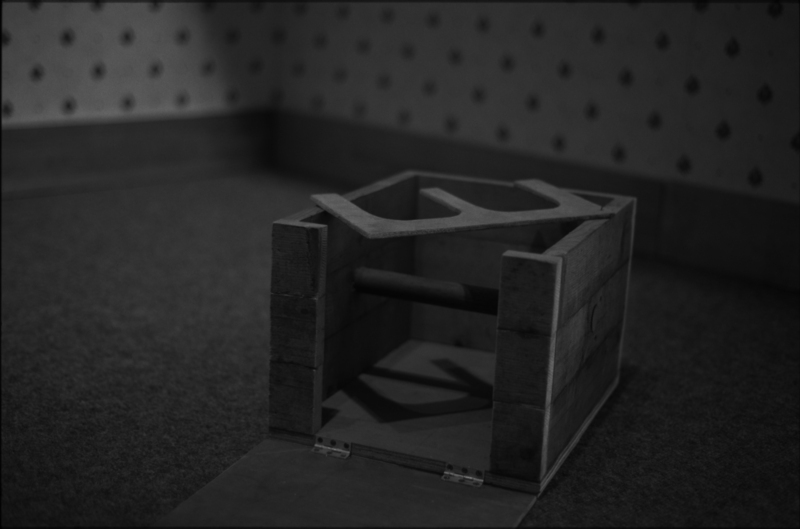 Experiment M explores the case of medium Kathleen Goligher and researcher Dr William Jackson Crawford. 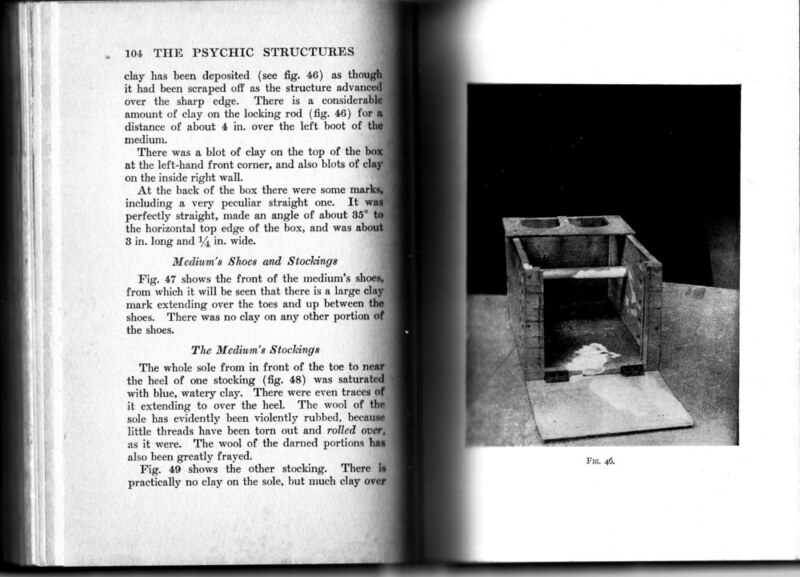 Between 1914 and 1920 Dr William Jackson Crawford (1881-1920), a lecturer in mechanical engineering at Belfast Municipal Institute and Queen’s University researched the mediumistic phenomena occurring at the séances of the Goligher Circle, Belfast. 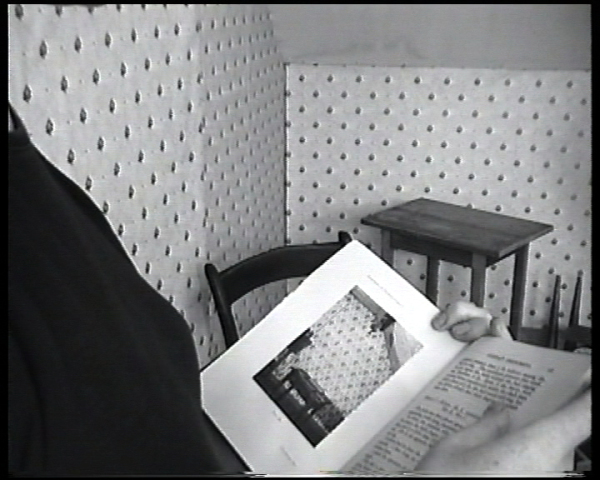 Crawford's relationship to the table tilting medium Kathleen Goligher is explored, and the path of Crawford's inquistive eyes is traced as the camera leads the viewer through the séance room. 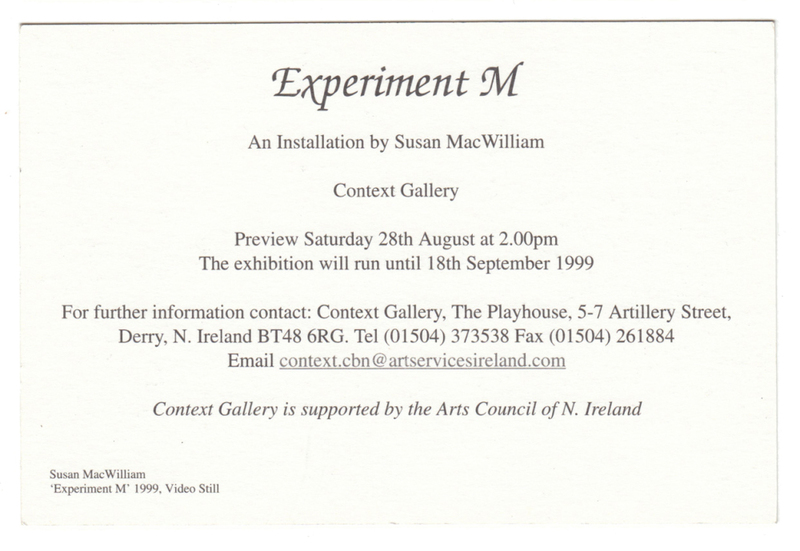 Experiment M comprises a set and a double channel video. 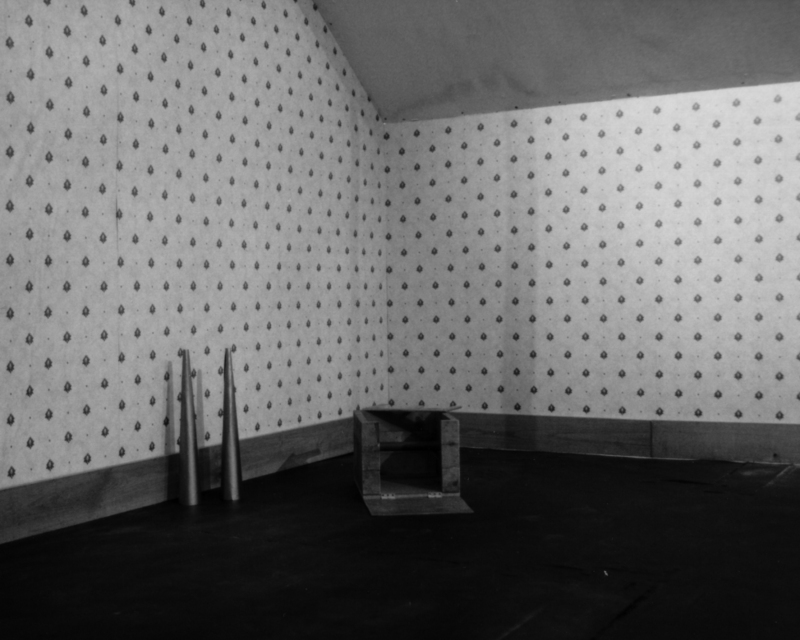 The set recreates the attic room where the Goligher séances and Crawford's observations took place. 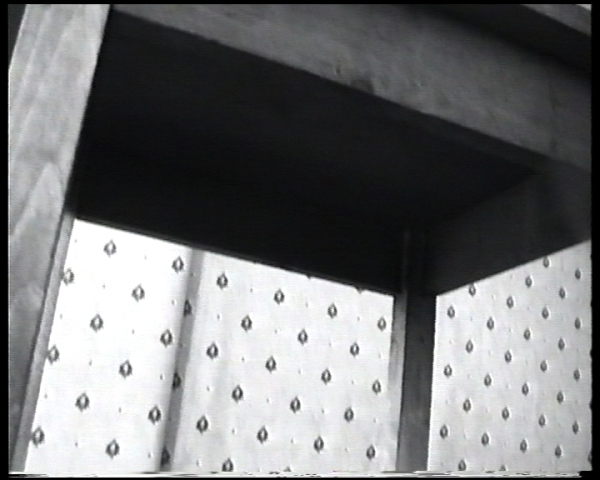 Working from photographs, descriptions and measurements in Crawford's books experimental testing apparatus such as the table and foot box have been reconstructed. 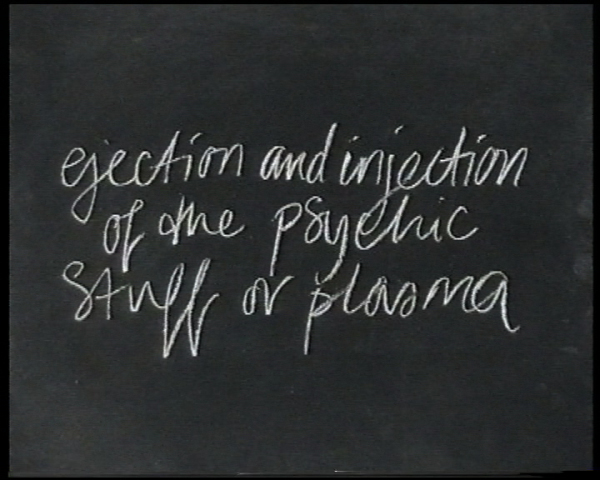 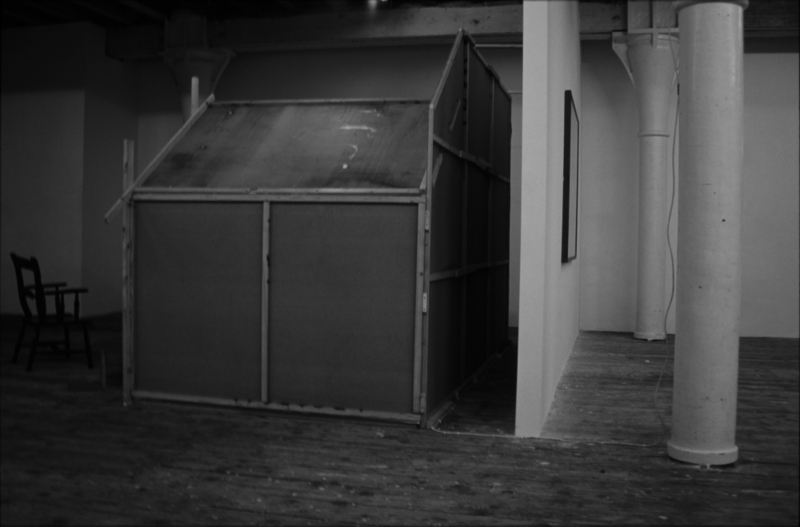 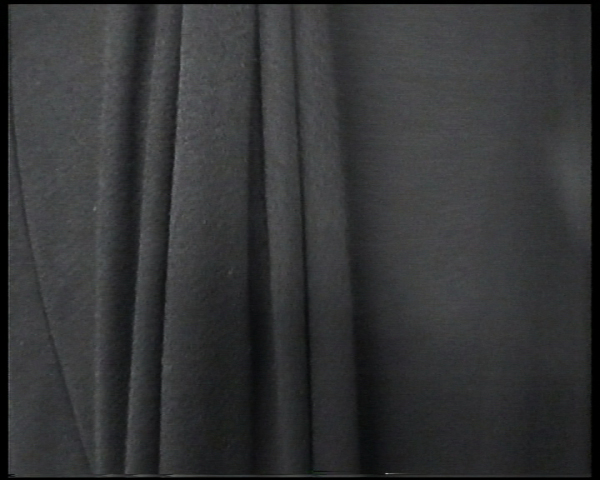 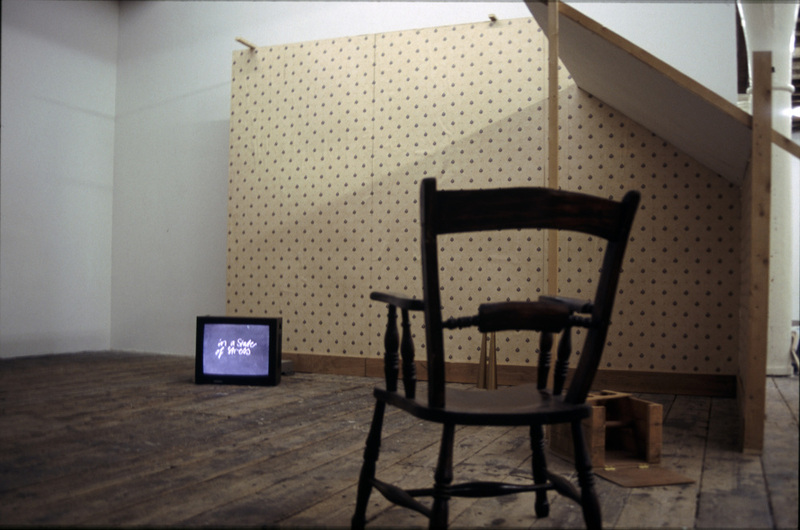 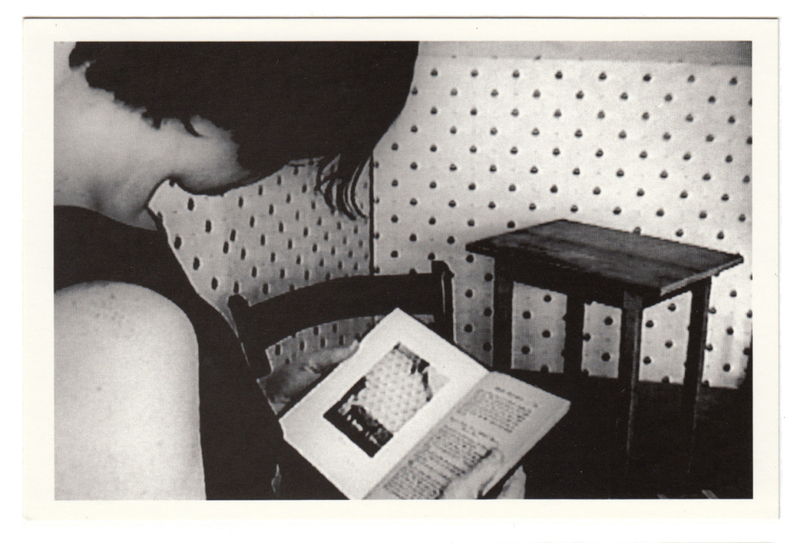 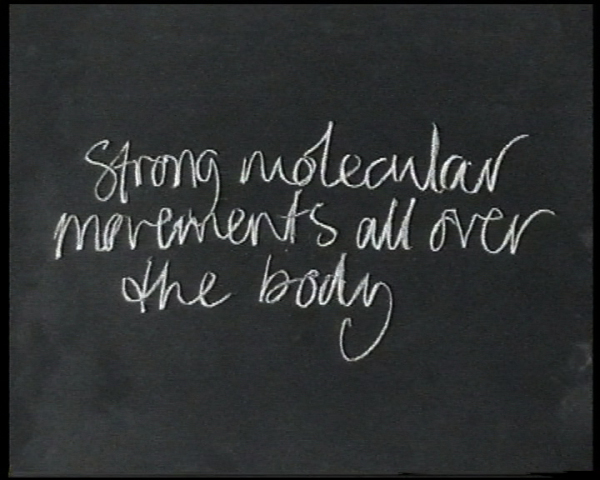 The videos viewed on two monitors present visual explorations of the space of the séance room, observations of the medium's body and textual excerpts from Crawford's books.